The Harmony Drifter Aluminum Paddle offers moderate-sized asymmetrical blades that work well with sit-on-top or recreational and touring kayaks. The Take Apart (TAP) shaft, with large push button, allows you to easily adjust your blade angle to 0 degrees or 60 degrees right. Offering performance and durability at a value, the Drifter will quickly become one of the most popular recreational paddles and for good reason. The Harmony Sea Passage Aluminum Shaft Take-A-Part Paddle offers moderate-sized asymmetrical blades that work well in everything from placid lakes to rough seas. It is suitable for both high and low angle paddling styles. The Sea Passage is one of Harmony Gear's most popular touring paddles and for good reason. Hobie kayak paddle with fiber shaft. 230 cm length for average height paddlers. 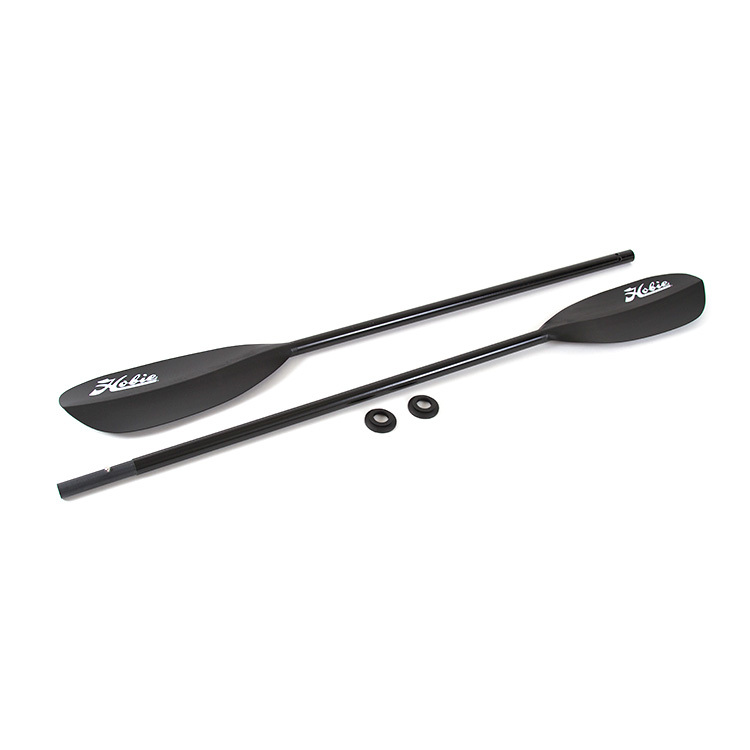 - Hobie Carbon Paddle 230 cm is made of strong and lightweight Carbon Fiber. Hobie kayak paddle with fiber shaft. 260 cm length for taller paddlers. 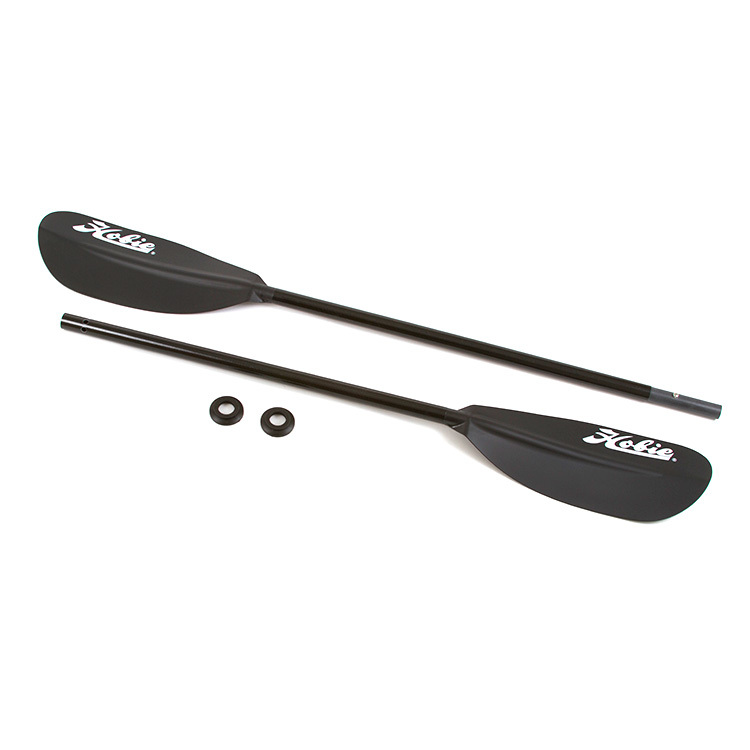 - Hobie Carbon Paddle 260 cm is made of strong and lightweight Carbon Fiber. For your flat-water and mellow-sea adventures, we recommend the easy-to-adjust and comfortable Werner Camano 2-Piece Paddle. Werner's Smart-View ferrule makes finding the most comfortable feather angle easy for any level paddler, while the two-piece design makes transport and storage a cinch. An improved ferrule design and translucent, midsize blades add value to this small-shaft Camano paddle from Werner. **Small diameter paddle shaft fits Unisex glove sizes X Small, Small and Medium and hands measuring under 6.5 in. from base of palm to tip of middle finger.